Some folks have gotten the word that I could not send out news, now that Google thinks I'm spam for sending 264 bcc mass mails. 10 years of that format now seems to be over, so this blog carries on in the same spirit, with a little different decor. I have been studying the writings of Murray Bookchin recently, who is increasingly being seen as one of the better independent thinkers of the 20th century. He was an ecologist very early, and published, before Silent Spring, but saw exponentially growing capitalist economy as being the root cause, not just a lack of pollution controls. That is now born out by time. Though Bookchin's brilliant Russian-revolutionary grandmother raised him Marxist in New York, and Bookchin was an excellent student of Marx, he could not bear what the glorious revolution became, another genocidal dictatorship that killed or exiled most of the original revolutionaries and their high ideals of the "soviets", which were local groups of workers who decided their own fates, initially. As Hierarchy grew, the independence of all the local groups was usurped, and those who would disagree were replaced by Comrade Lenin, then by Comrade Stalin. The crushing of the Spanish revolution by Russian-backed Communist forces, against the worker cooperatives, drove him forever away from authoritarian structures of any sort. That became the first test of any political theory for Bookchin. Is it enslaving, or truly democratic by means of direct participation? Greek democracy in Athens was directly participatory, though it was restricted to free men, of which there were many. All were expected to participate as a duty, not a "gift" or an "opportunity", but part of being an adult, of maturing in the community. In Bookchin's analysis, and I agree, a democratic form must begin with the local and co-invested community group, and it will be small, like 250 participating members or fewer. That is the number of people that we can really have ongoing human social relations with, Dunbar's number, which is taken to be 148, but is somewhat flexible. Bookchin worked hard in the fields of Anarchism, seeing the Spanish Communes of the 1930s as the highest actual realization of it in modern times. They were crushed by dictatorships, crushed brutally and with great betrayals, but the Anarchist Affinity-Groups, themselves remained true, and displayed great valor in their defeats. World Anarchism became less practical and more theoretical after that, more of a splintered intellectual movement, with strict rules for membership in any school, than a workable way of life for real people. Bookchin ultimately broke from the Anarchist orthodoxy, and adhered more to the classic roots of community self rule, while rejecting the subjugation of hierarchical power structures. Kurdish independence leader Ocalan, spending life in a Turkish prison, and recently denied all external contact, was a Marxist revolutionary, but after his capture he was able to study a wide range of political theory, and discovered Bookchin's work, Libertarian Municipalism. Bookchin was very old, ill and near death by then, unable to have an extended discourse with Ocalan, but there was mutual recognition. Ocalan's adaptation for the Kurdish people is called "Democratic Confederalism". The strong point of this political form is that everyone is included in a group which can know each other, as in the Spanish Affinity Groups, and the Communes of Revolutionary France, and the New England Town Meetings. The weak point is that 5000 people commanded in a modern mechanized army can quickly slaughter 200 people who live and die together. That's really the part which is not yet worked out. Everybody talks about"leveraging" this that and the other, which means getting other people and machines to follow your plan and do the work for you. The last 3 centuries have been all about that. The one thing that jumps to my mind is the power vested by the US Constitution in the office of Sheriff. I'm not a Constitutional Scholar like our President, but I hear there are a lot of powers vested in that locally elected office. Libertarian municipalism doesn't scale up to 7 billion people, but it does use the group in which all of us can do our best work as it's foundation, so it is efficient and resilient at what it does do. Bookchin thought our small bodies-politic should have all the power of doing and deciding what is within their realm of capability, and that these units could task members for specific coordinating activities. Those members would be recallable, and with a specific task, not a role of autonomous power or authority. It looks like 126,000 voters were purged from the rosters and not permitted to vote in the closed primary. 120,000 were purged in populist Brooklyn, alone. Don't worry, this didn't affect the results, we are assured. There's a frustrating lack of details and numbers, but Hillary Clinton has won the Democratic primary in New York. We'll have to await final counts, but it looks like double digits, though Sanders got more than twice as many under-30s, who were not much already registered since last year. Sanders is campaigning in the City of Burlington Vermont, where he was mayor in the 1980s. Ben and Jerry, who support Sanders, were arrested in Washington DC, at the Capital, protesting financial corruption in politics and advocating campaign finance reform. Bernie Sanders has been the rare US politician, criticizing Israeli injustice to Palestinians, robbing them of their homes and farms and building walls, as well as bombing cities and refusing to let cement, rebar, pipe and wire be brought back in. Russian troops in Syria are ordered to seal the border with Turkey. Turkey will have to enter Syria to attack these Russian soldiers to let ISIS through, or abandon aspirations for a carve-out of northern Syria. Israeli claim to (Israeli-occupied and oil-bearing) Golan Heights region of Syria, is broadly refuted, including by US. Richard Heinberg here writes about Marion King Hubbert, the researcher and professor of geology who calculated "Hubbert's Peak" in oil production in the early 1950s, as 1970-1971 for the US. He nailed it of course. There has been a lot of heated argument about "Peak Oil" for the planet, and it was calculated to happen sometime around 2005, and it did, but redefining "oil" let the peak of "oil" be dragged into a very broad and undulating plateau since then. More of the "oil" has to be used to get oil out of the ground now, so the amount available to the general economy is certainly post peak. Hubbert was a moral visionary, and lived according to his own analysis. The Hanford Nuclear Storage site is massively leaking again despite very expensive efforts since the 1950s. We still have no American "solution" to all of these temporary nuclear waste tank-farms. Milwaukee gets behind home gardening, funding an initiative that employs people to put in 500 kitchen gardens per year for citizens. 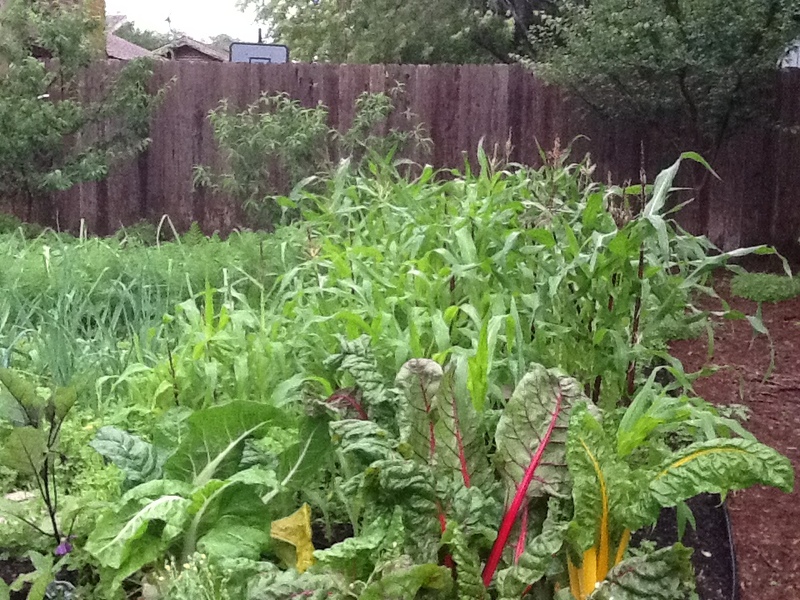 "A Victory Garden doesn’t just grow healthy food. 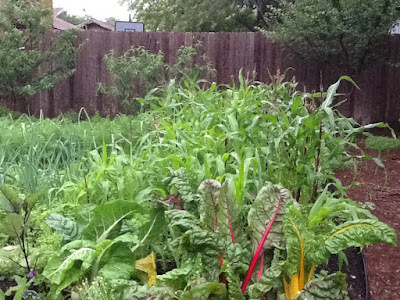 A Victory Garden cultivates the awareness of the marginal value between our wasteful yard maintenance practices and the inefficiencies of our global food system. 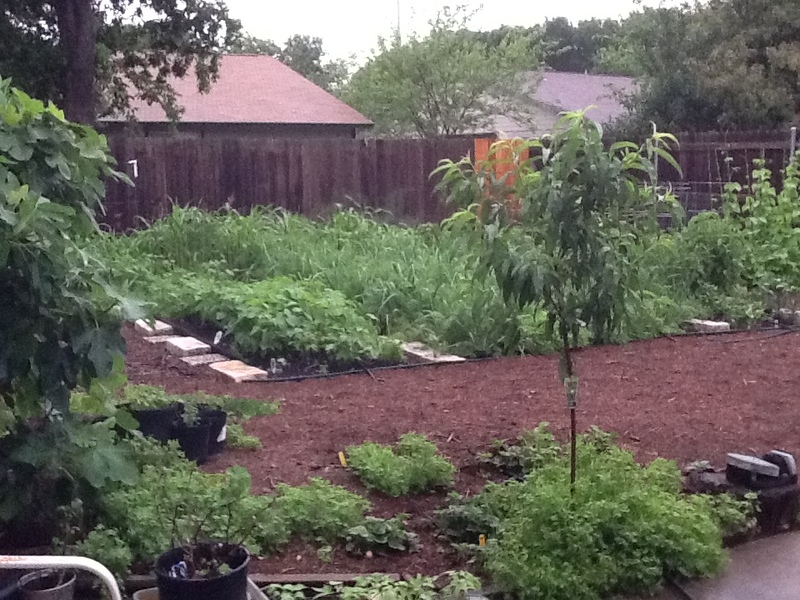 A Victory Garden builds a regenerative foundation for creating surplus through the active responsibility of its citizens' output."